This year I fell for fall. I’m trying to recall exactly what I was so busy doing in the past few years not to notice the mesmerizing beauty of this city’s landscapes when fall kicks in. 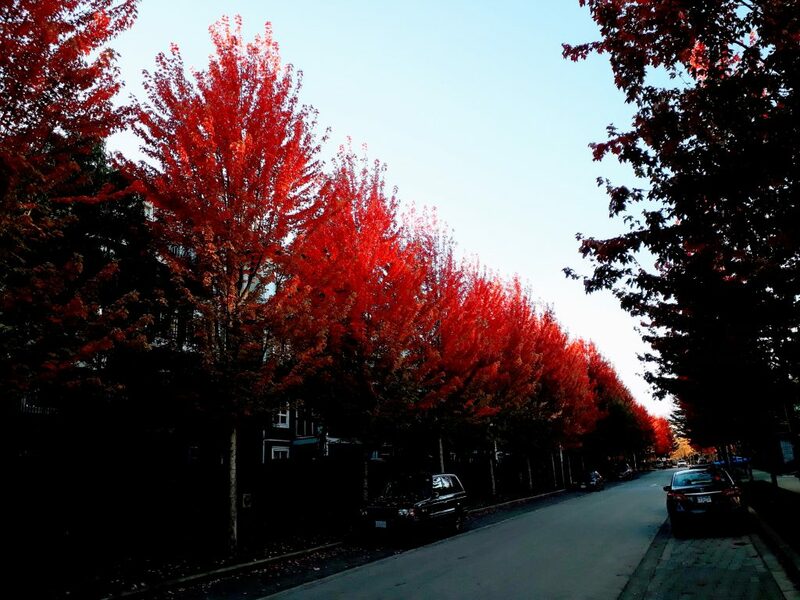 After a few uncertain weeks, in which it’s not clear if summer is gone for good, Vancouver wakes up when September ends wearing its most charming red dress and boldly showcases its warm leafy shades of orange and yellow. It’s quite common to see people taking photos in the middle of the street, in the vain attempt to capture the essence of this season. Vancouver is moody in October: it may reward you with the loveliest sunny days or demoralize you with never-ending rain. Temperatures average between 10 and 18 degrees, so winter coats can stay in the closet for a little longer. Fall is a fun season in the Vancouver area: be prepared for a lot of Thanksgiving and Halloween related events. Pumpkins are serious business around here. 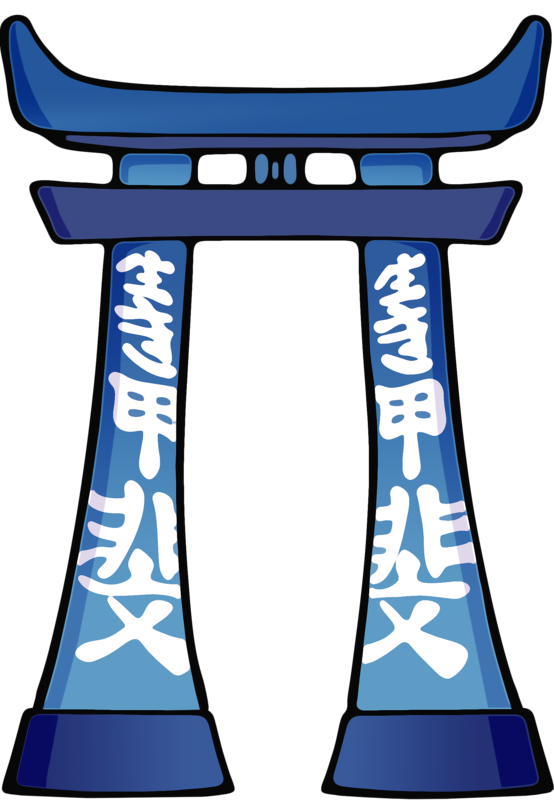 Whether you want to carve yours in all sorts of artistic ways or just make pies, you’ll need to carefully hand pick it. When you go to a pumpkin patch, you don’t just pick your pumpkin. 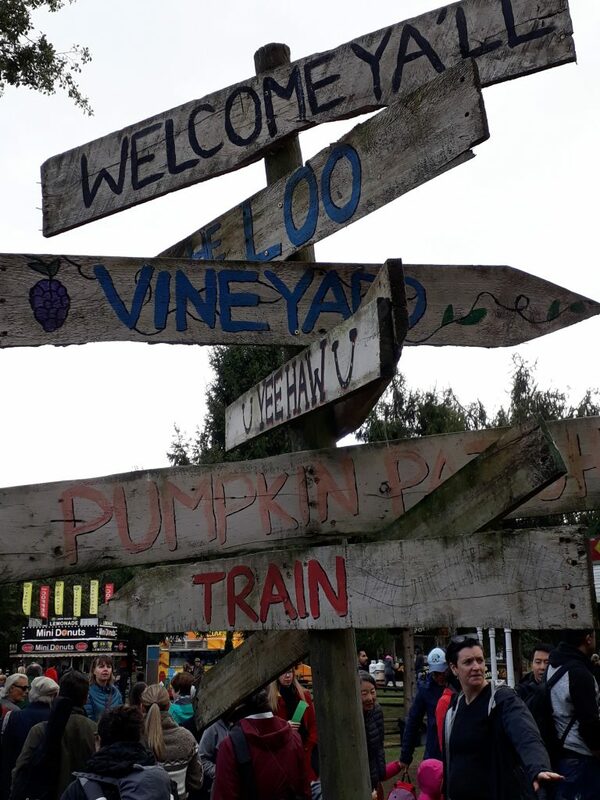 The farms build a whole experience around it with cute trains, haystacks where kids can play, live country music, corn mazes, small petty zoos, wine and cider tasting and so forth. Even princesses may pop up out of nowhere to greet you. After a dance, a drink or two and a stroll to say hi to the animals, when you actually get to the picking part, you realize how daunting of a task that is. The patch often goes on and on for hundreds of meters, sprinkled with big pumpkins, small pumpkins, round pumpkins, elliptical pumpkins, bright orange pumpkins, dark orange pumpkins, greenish pumpkins, fat pumpkins, skinny pumpkins, tall pumpkins, short pumpkins, bruised pumpkins, deceptively shiny pumpkins and so forth. You pick one believing it to be the one, only to find a better one a few steps further. 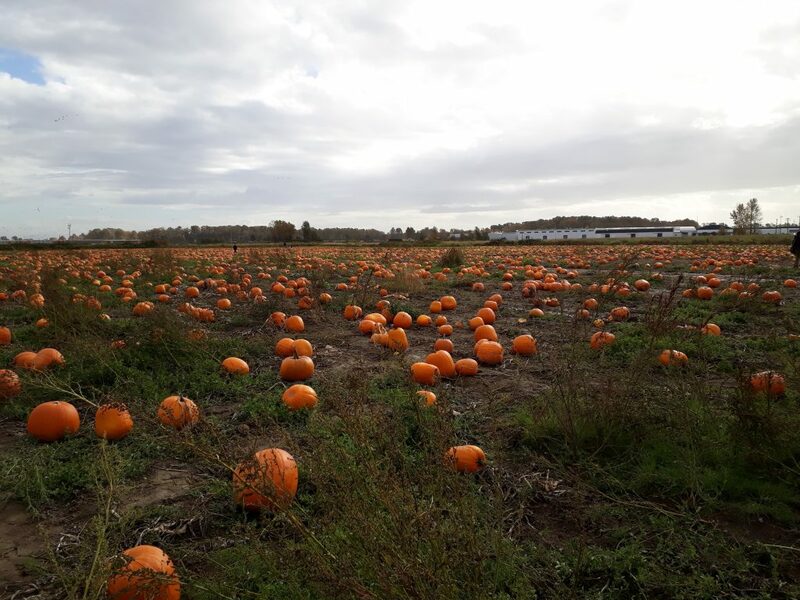 So you keep switching for a good 20 minutes, as if it was a pumpkin relay, until you are tired of carrying around a heavy orange ball and you just bring back the one that happens to be in your hands in that moment. Not before taking an instagramable picture, of course. If you’re a Halloween fan, you won’t be disappointed. 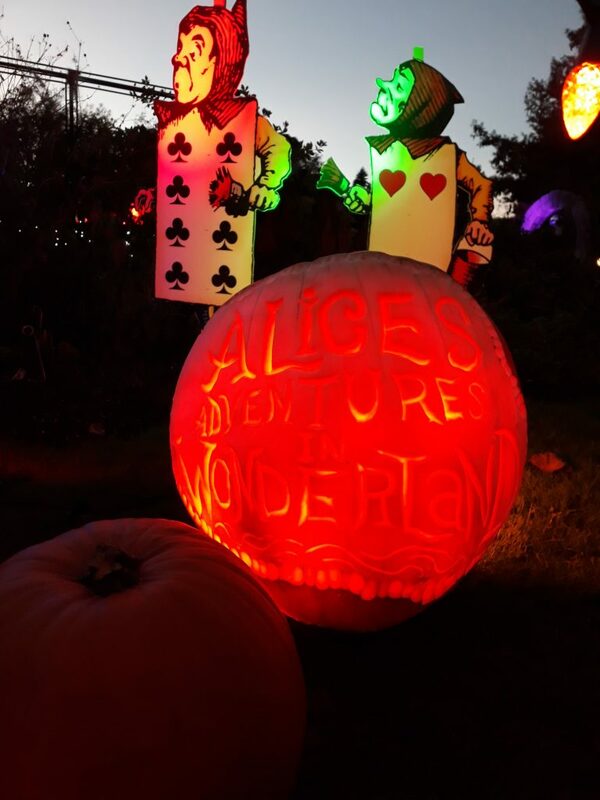 From the big zombie parade downtown, to all kinds of parties, the mesmerizing light-ups and carved pumpkins of Stanley Park and Van Dusen Botanical Gardens, the fright nights at the PNE and themed craft markets, there’s something for everyone. Coming from a country where Halloween is just an imported tradition, and therefore not popular everywhere, I spent my first Halloween in Canada strolling around town and looking at the amazing house decorations all around me. Some people really go the extra-mile and put a lot of effort into decorating their house. I’ve seen gardens turned into graveyards or crime scenes, inflatable cats moving their eyes, moving mummies, houses with huge creepy eyes and jaws and all sorts of creative and spooky things. 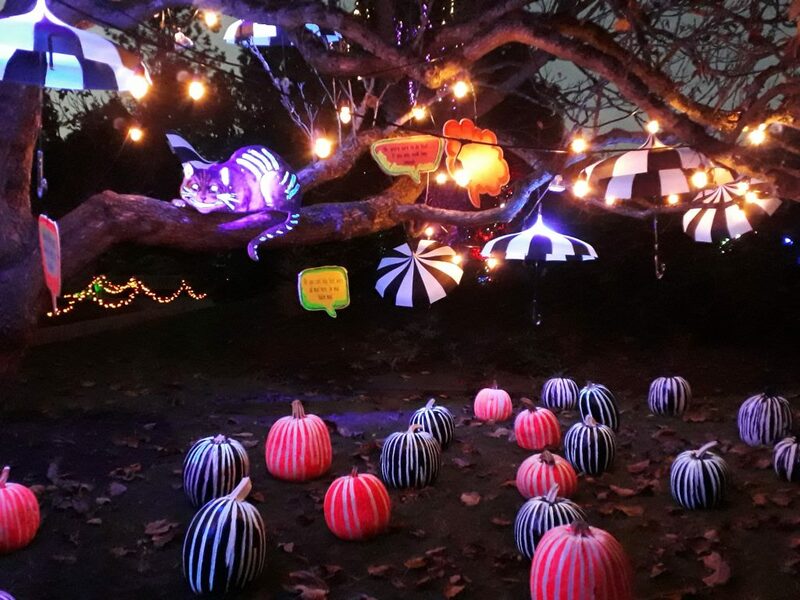 Highlights that you should check out if you are around are: the Nightmare before Christmas market, a themed arts and crafts covered market with many gothic-themed stands, and Glow at Van Dusen Botanical Gardens, where you’ll find fairytale-like lights, carved pumpkins, workshops and food. The theme this year was Alice in Wonderland and the whole experience, superbly organized, had an incredible dreamlike atmosphere. 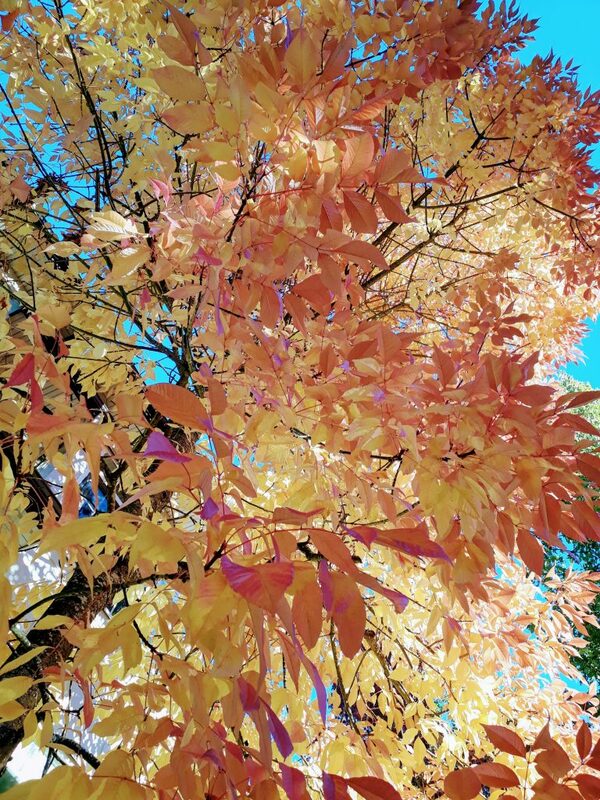 Fan of autumn colors or just trying to snap some cool pictures? 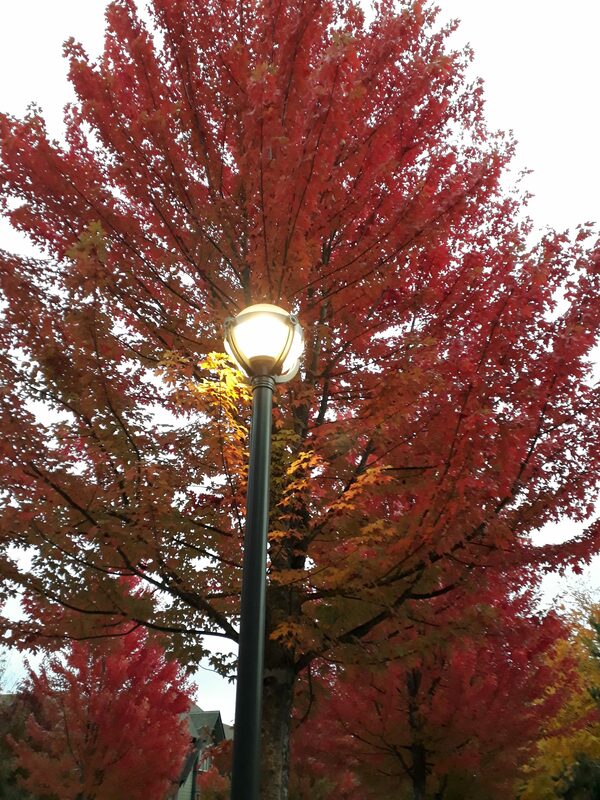 Take some time to wander around UBC and you’ll find the most amazing shades of red, yellow and orange. Give yourself the chance to follow the colors and get lost in the maze of narrow roads… you’ll discover lovely and quiet spots, perfect for relaxing, writing, reading, thinking, listening to music, meditating or just embracing the beauty of nature. For a more popular and mainstream destination, you can also check out the English Bay – Second Beach area, for nice shots of leaves by the sea. go to Tim Hortons if you want it cheap, Starbucks if you want to be the cool kid, Beans around the world or hipster coffee shops for something more artsy and possibly of better quality. Thanksgiving in Canada is celebrated on the second Monday of October (as opposed to the American one that takes place in November). If you happen to be around for Thanksgiving, make sure to celebrate with turkey, mashed potatoes and pumpkin pie, as the tradition wants. Don’t have the skills or the patience to cook a whole turkey? 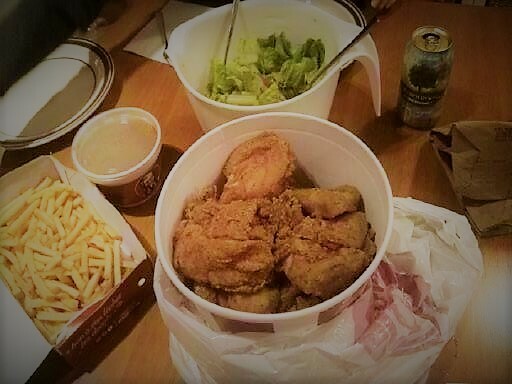 Cheat and grab a bucket of fried chicken at the nearest KFC (that’s what I do!). Is fall the season closest to your heart? Go and Explore! If not, take a look at my winter, spring and summer suggestions for you!